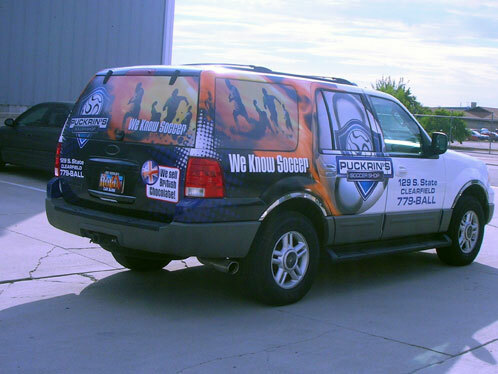 I had the priviledge of designing a vehicle wrap for a small soccer shop here in Davis County. 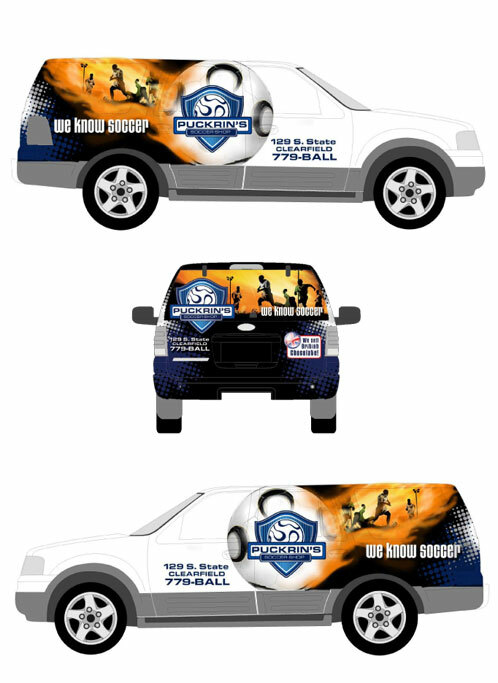 I have been asked a couple times of late what I enjoy most about being a graphic designer and while I still think logo development is still my favorite project, I do enjoy the challenge and change of pace that is large format design, particularly vehicle wraps. I think I have designed and produced at least five full wraps in my time and each is a unique challenge depending on the make and model of the vehicle. 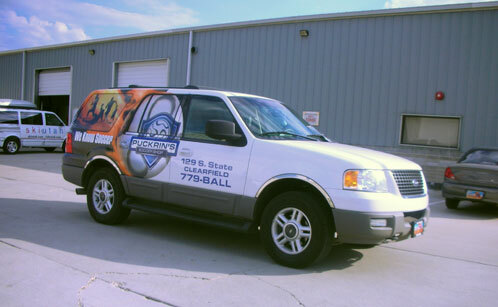 You not only have to create a design that works much like a billboard but you also have to take into account the contours of the vehicle, avoid placing important information over deep contours such as door handles and such and also have to deal with making sure the wrap is visually stunning to boot. Below is the concept art followed by three prictures from the shop to show you how well the concept translates into printed and applied graphics. This entry was posted on Sunday, August 5th, 2007 at 8:36 pm and is filed under Uncategorized. You can follow any responses to this entry through the RSS 2.0 feed. You can leave a response, or trackback from your own site.